Joe Oliver has been named the manager of the Portland Sea Dogs, the Class AA Eastern League affiliate of the Boston Red Sox. The Boston Red Sox have named Joe Oliver as the manager of the Portland Sea Dogs. Oliver replaces Darren Fenster, who was promoted to Red Sox minor league outfield/baserunning coordinator. Oliver becomes the 14th manager in team history and the eighth as a Red Sox affiliate. The native of Memphis, Tennessee, begins his sixth year with a 297-270 record as a minor league manager, all with the Red Sox system. He spent the previous three seasons with the High-A Salem Red Sox (Carolina League), compiling a 223-193 (.536) record, including a playoff berth in 2016. His first two years as a manager were with Short-Season Lowell. Oliver, a 12-year major league veteran, made his debut with the Cincinnati Reds in 1989, was a member of the 1990 World Series championship team and also played with the Milwaukee Brewers, Detroit Tigers, Seattle Mariners, Pittsburgh Pirates and New York Yankees, and had a stint with the Red Sox in 2001. Paul Abbott returns for his second season as the team’s pitching coach, while Lee May Jr. (hitting coach) and Scott Gallon (athletic trainer) are back for a third straight season. Ben Chadwick has been named the new Strength & Conditioning Coach, replacing Chris Messina. A fourth coach will be named at a later date. 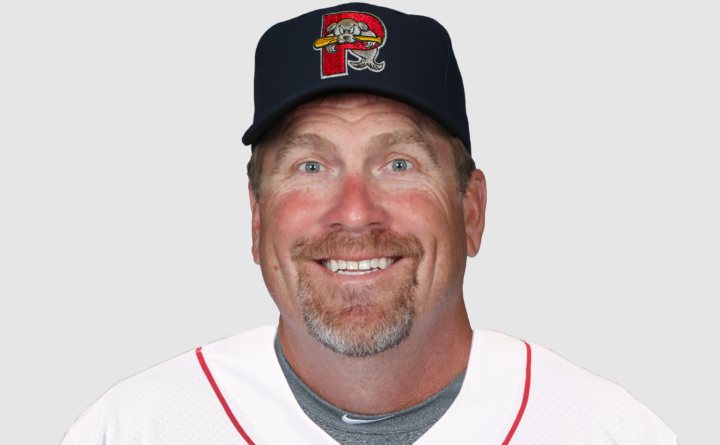 Abbott begins his second season as the team’s pitching coach after spending the three seasons with the Salem Red Sox. He started his career as a minor league pitching coach with the Lowell Spinners from 2011 to 2012 and spent two seasons with the Greenville Drive (2013-14). May Jr. begins his third season in Portland and his fourth in the Red Sox system. May spent the 2016 season as Greenville’s (Red Sox Low-A affiliate) hitting coach. He previously served as minor-league hitting coordinator in the Mariners organization from 2011 to 2015. Chadwick begins his first season at the team’s Strength and Conditioning Coach, after spending the past three years in the same position with the Gulf Coast League Red Sox. The Sea Dogs open the 2019 season Thursday, April 4, against the Reading Fightin Phils at Hadlock Field.